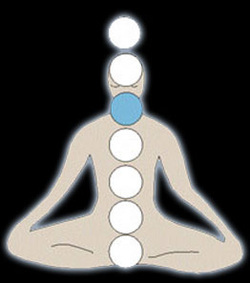 The Throat Chakra is in the V of the collarbone at the lower neck. This chakra is the center of communication, sound, and expression of creativity via thought, speech, and writing. The possibility for change, transformation and healing are located here. The throat is where anger is stored and finally let go of. When this chakra is out of balance you may want to hold back, feel timid, be quiet, feel weak, or can¹t express your thoughts. Physical illnesses or ailments include, hyperthyroid, skin irritations, ear infections, sore throat, inflammations, and back pain. When this chakra is balanced you may feel balanced, centered, musically or artistically inspired, and may be a good speaker. 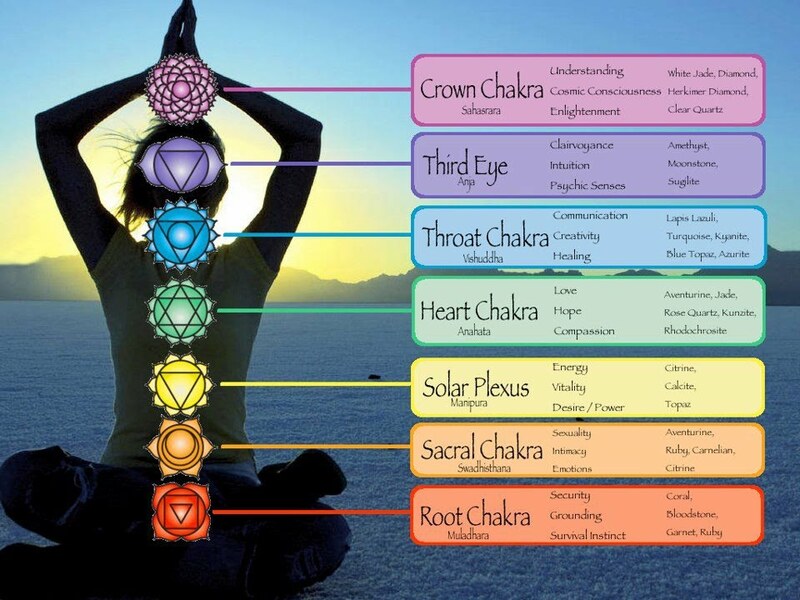 Body parts for the fifth chakra are throat, neck, teeth, ears, and thyroid gland.